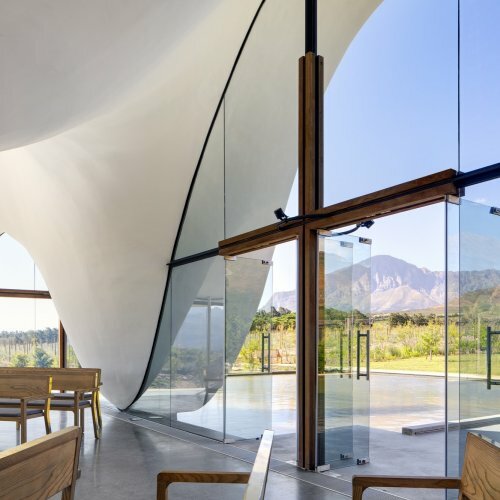 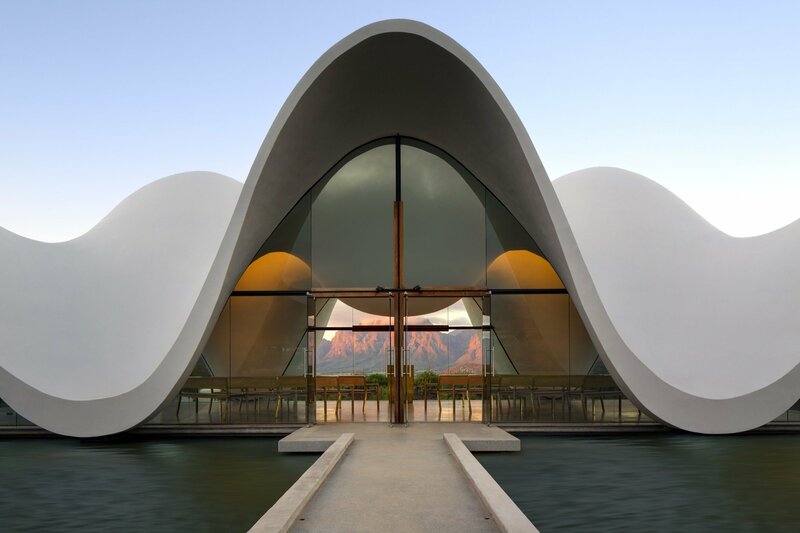 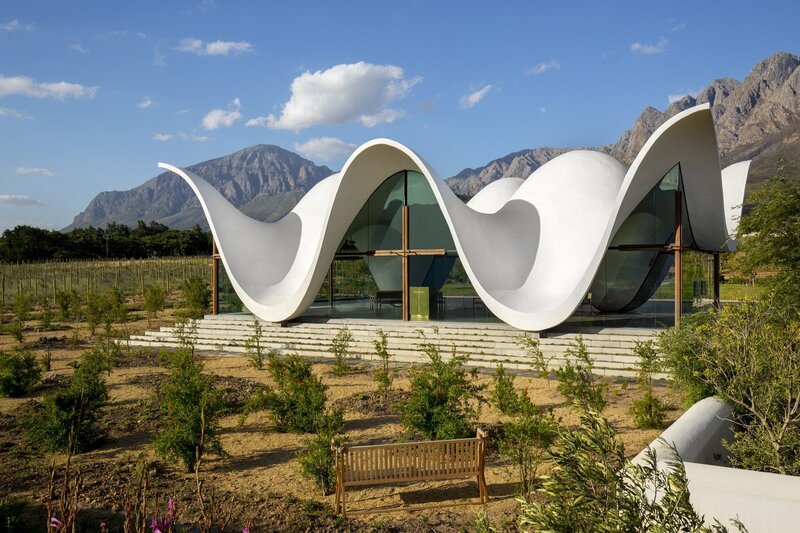 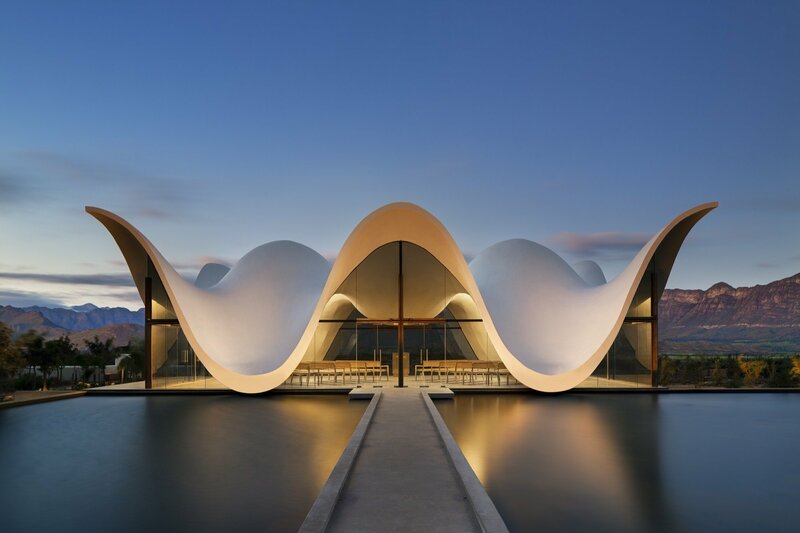 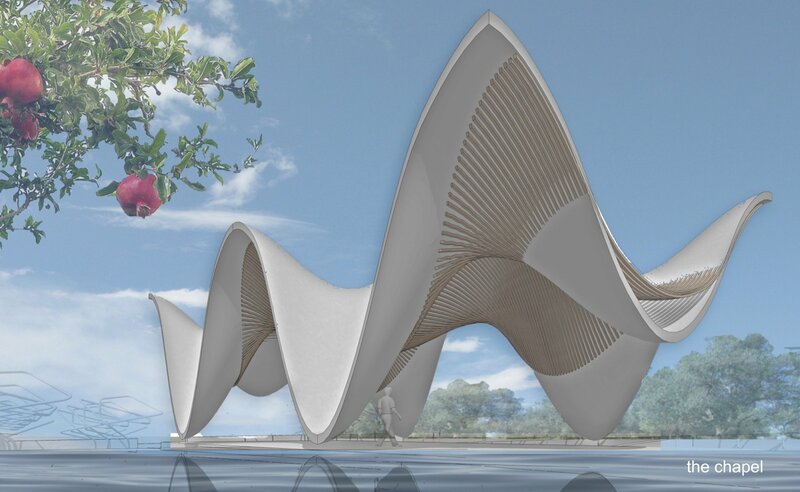 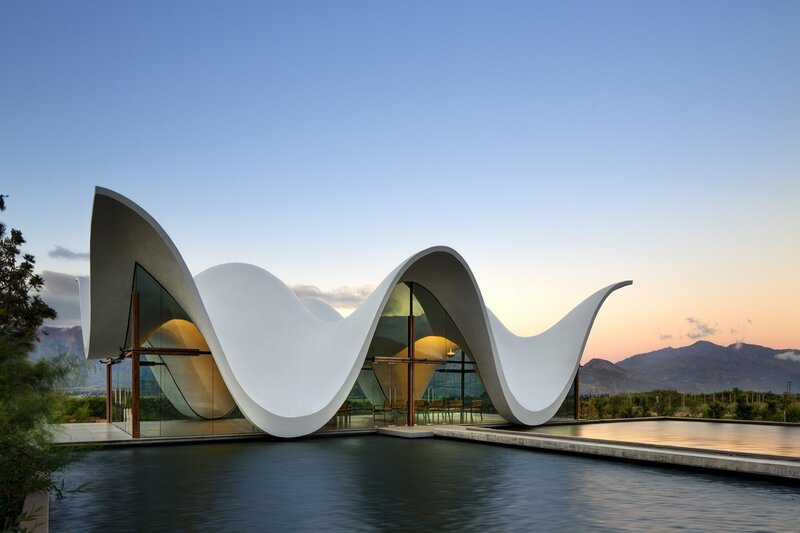 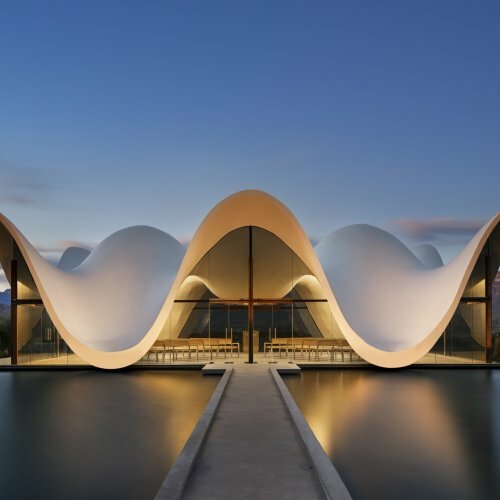 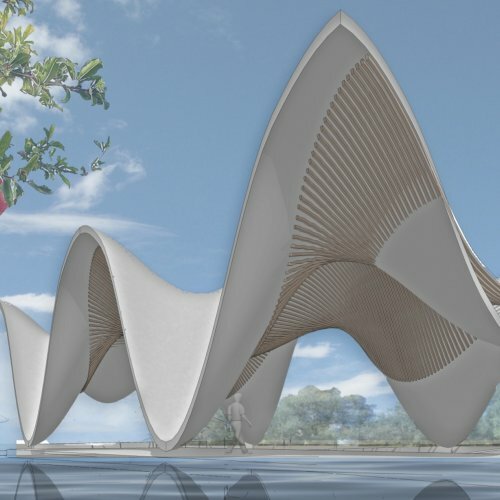 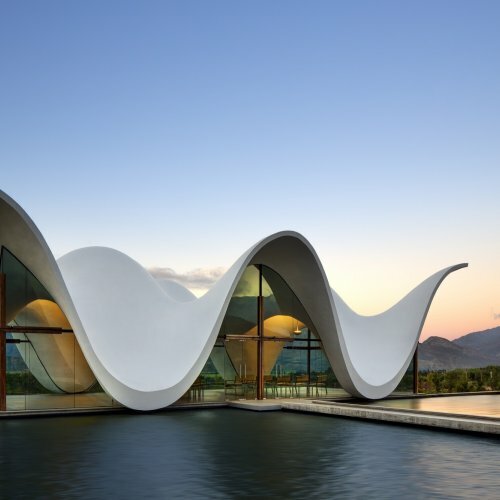 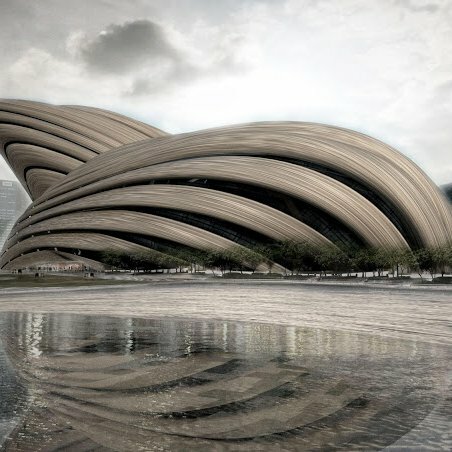 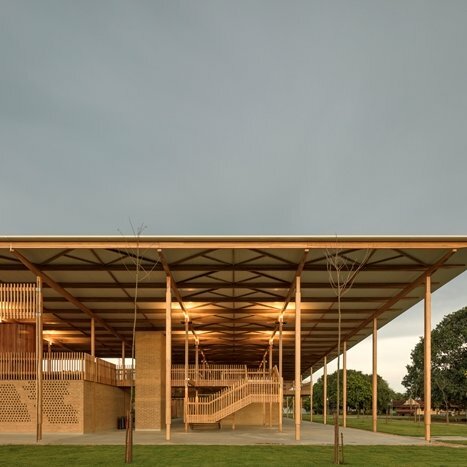 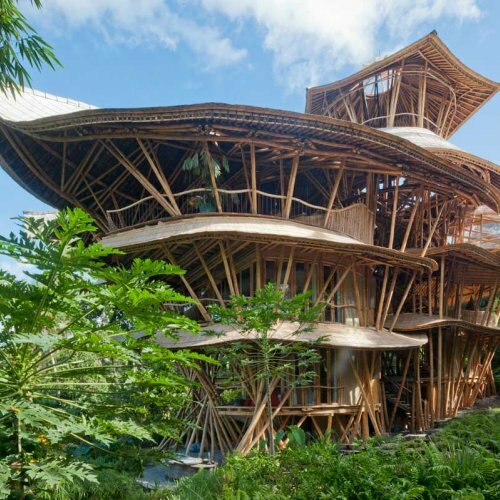 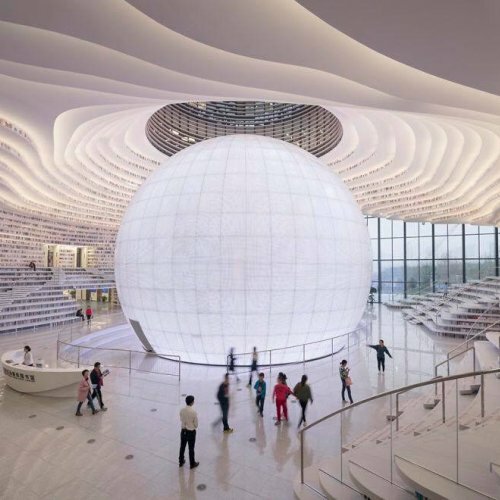 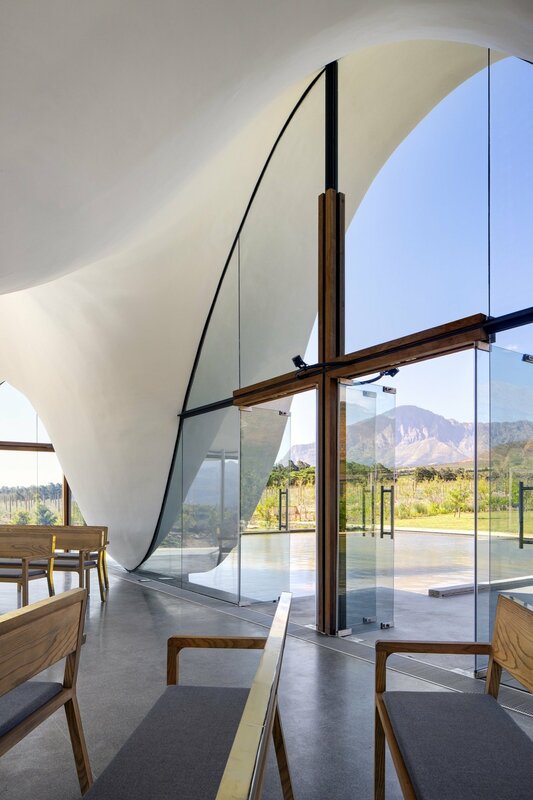 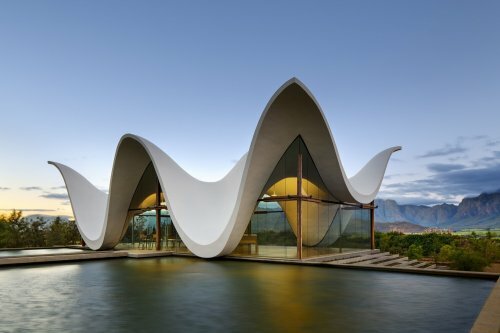 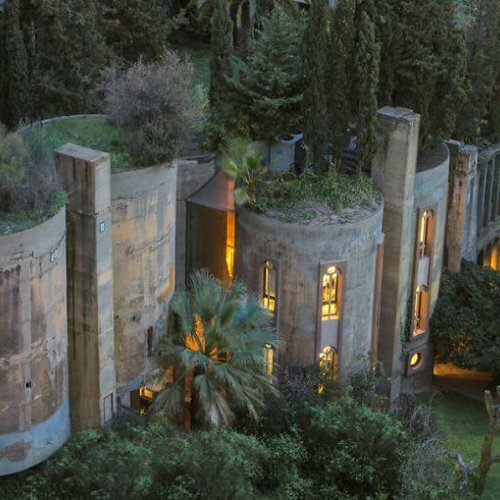 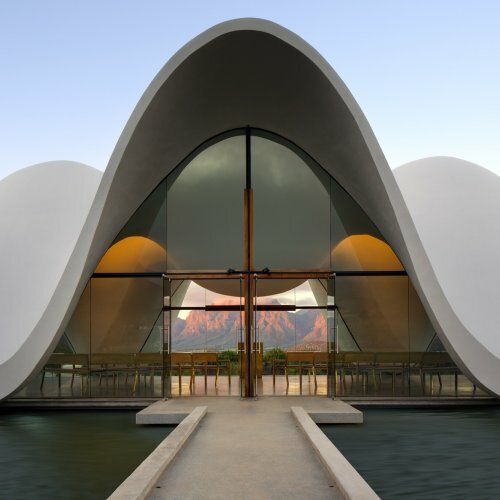 Designed by architect Coetzee Steyn of Steyn Studio, the Bosjes chapel has a dramatically curved, flowing roof that makes the entire building appear to float on two large ponds of water. 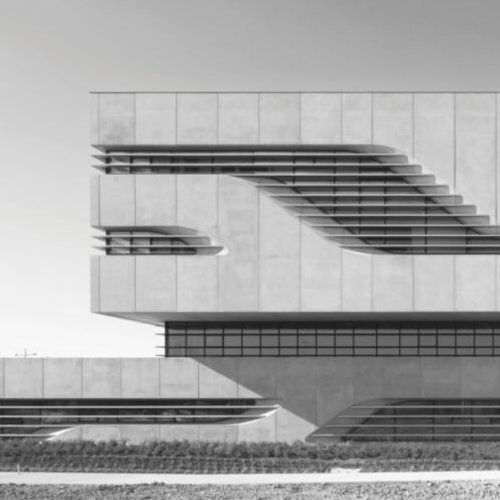 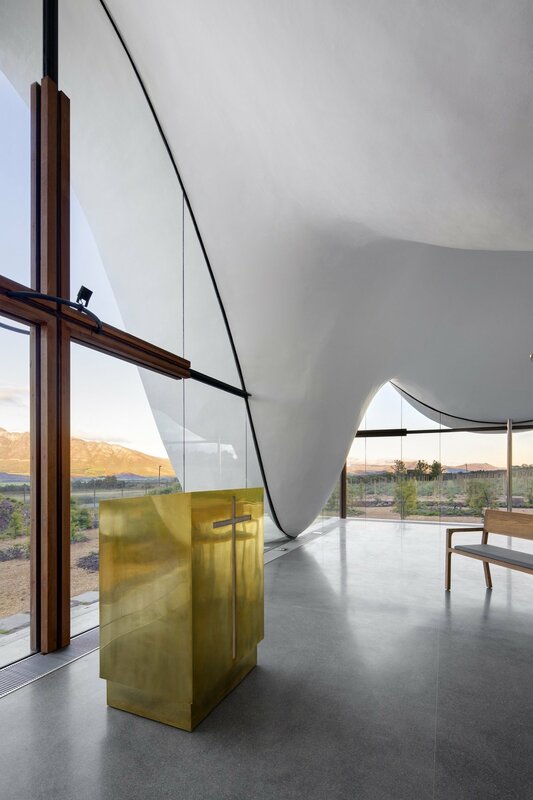 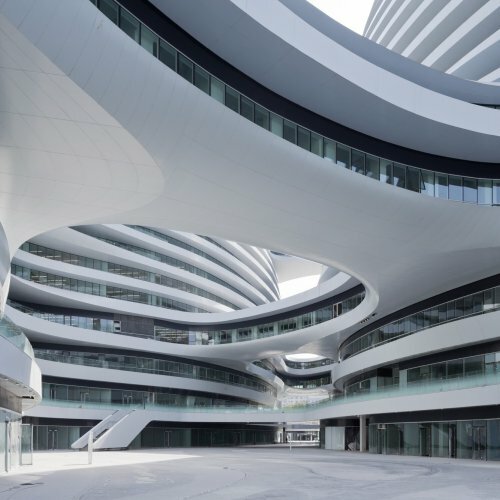 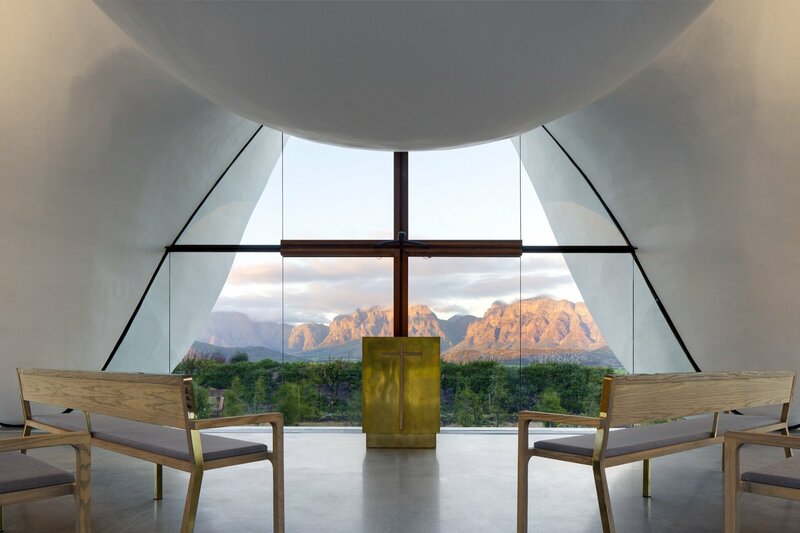 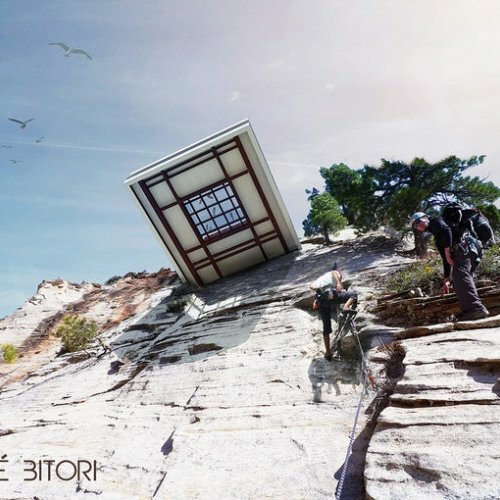 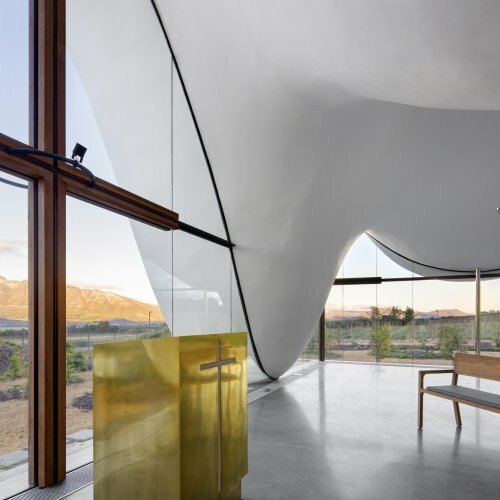 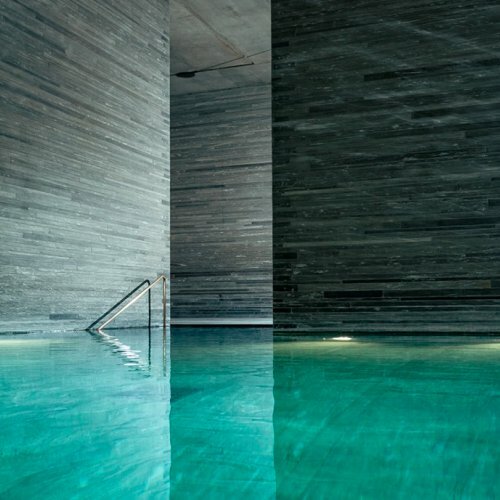 Beyond it – and visible from every angle inside the structure, which has glass walls on all sides – are vistas of the Slanghoek and Waaihoek mountains, which provide this exceptional building with a glorious backdrop. 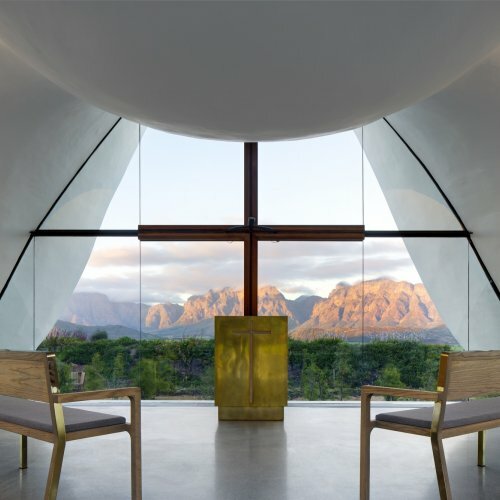 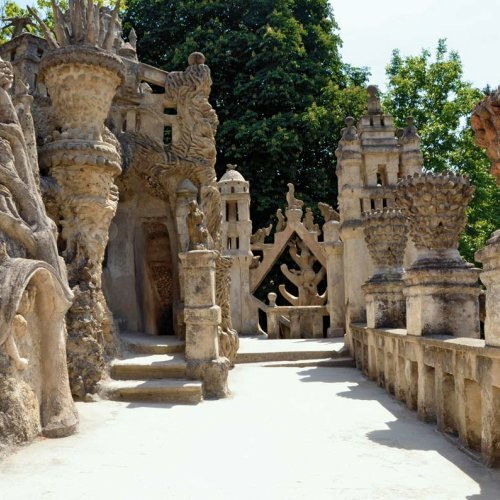 Alongside the chapel is a charming garden, complete with a meditative circular walkway and a sculptural water feature, and close by is the estate’s new sunken tea garden. 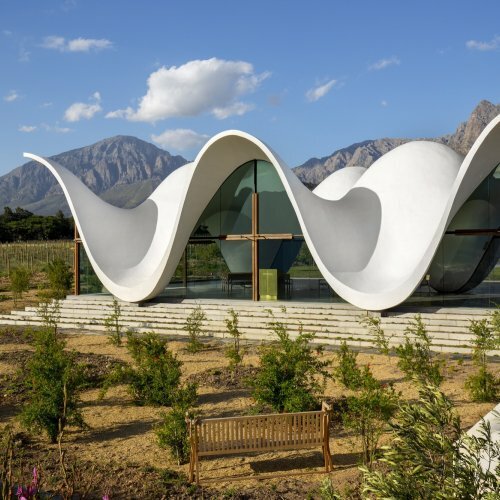 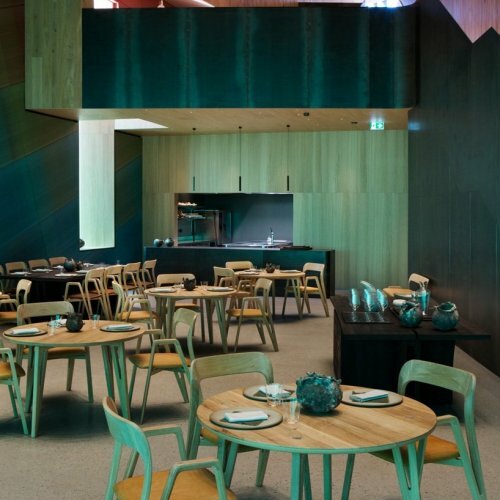 The latter serves up a selection of delectable cakes and sandwiches, while up the hill and adjacent to the farm’s charming original manor house (built in 1790) is Bosjes Kombuis, the estate’s new restaurant.